R.A.M.A.L. 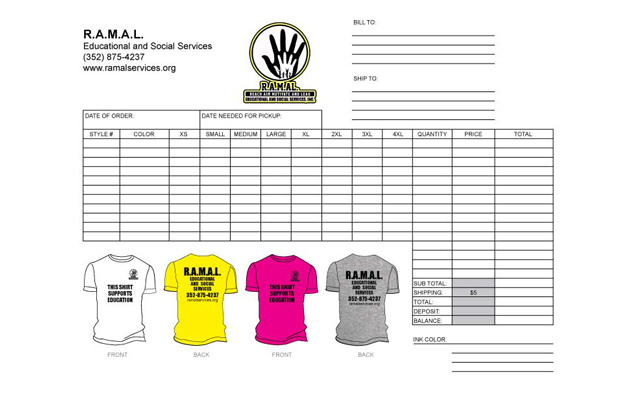 Educational and Social Services, Inc. is taking orders for T-shirts to support educational programs and scholarships. The shirts are $25 each for Small-XL, $27 for 2XL-4XL. Please order by April 29, 2019. You will be notified of a pickup date and place. Your order can be shipped for an additional $5. Shirts are available in white, pink, yellow, and grey.